When is it time to buy a new iMac? When is it time to just upgrade your iMac? Those are difficult questions because the right answer varies from individual to individual, depending on needs and wants. The first step in making the right decision about whether to upgrade or buy new is to become familiar with the upgrades that are available for your iMac. In this Intel iMac upgrade guide, we'll look at just the Intel-based iMacs that have been available from Apple since the first Intel iMac was introduced in early 2006.
iMacs are typically considered one-piece Macs, with few, if any, upgrades available. You may be surprised to discover that you do have some upgrade options, from simple upgrades that may boost your iMac's performance, to somewhat advanced DIY projects that you may or may not be willing to tackle. In the 'About This Mac' window that opens, click the 'More Info' button. The System Profiler window will open, listing your iMac's configuration. Make sure the 'Hardware' category is selected in the left-hand pane. The right-hand pane will display the 'Hardware' category overview. Make a note of the 'Model Identifier' entry. You can then quit the System Profiler. Upgrading RAM in an iMac is a simple task, even for novice Mac users. Apple placed either two or four memory slots in the bottom of each iMac. The key to performing an iMac memory upgrade is selecting the proper RAM type. Check the iMac Models list, below, for the RAM type for your model, as well as the maximum amount of RAM that can be installed. Also, check to see if your iMac supports user upgrades. You can also use this link to Apple's RAM upgrade guide for each specific iMac model. Using matched 2 GB modules, your iMac can access 3 GB of pe 4 GB installed. Use a 2 GB and 4 GB module. Use matched pairs of 4 GB per memory slot. Use matched pairs of 8 GB per memory slot. 8 GB or 16 GB soldered on moperboard. Remember, these two videos are only for the first-generation Intel iMac. Other iMacs have different methods for replacing the hard drive. 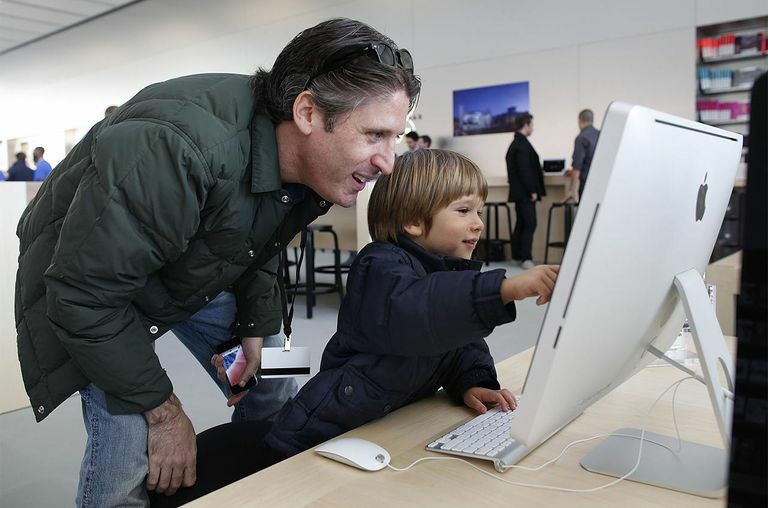 In addition, later generation iMacs have displays that are laminated and glued to the iMac frame, making gaining access to an iMacs interior even more difficult. You may find a need for special tools and instructions like those available from Other World Computing. Be sure and check out the installation video in the link above. Another option is to forgo upgrading the internal hard drive, and instead, add an external model. You can use an external hard drive that you connect to your iMac, by USB, FireWire, or Thunderbolt, as your startup drive or as extra storage space. If your iMac is equipped with USB 3 an external drive, especially if it is an SSD can achieve speeds almost equivalent with an internal drive. If you use Thunderbolt, your external has the potential to perform faster than an internal SATA drive could. The Intel-based iMacs predominantly used Intel processors that support a 64-bit architecture. The exceptions were the early 2006 models with the iMac 4,1 or iMac 4,2 identifier. These models used the Intel Core Duo processors, the first generation of the Core Duo line. The Core Duo processors use a 32-bit architecture instead of the 64-bit architecture seen in late Intel processors. These early Intel-based iMacs are probably not worth the time and cost to update.